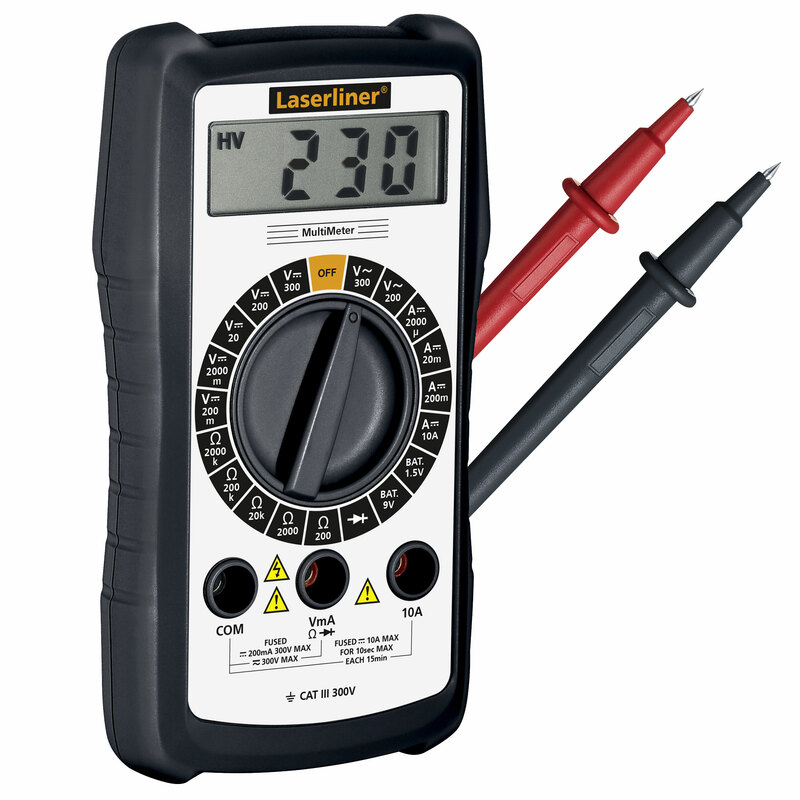 Laserliner 083.031A Digital MultiMeter for reliable, fast and precise voltage, current and resistance measurement. Diode test function for determining integrity and polarity. Battery test function for measuring charge status of batteries and rechargeable batteries. Compact casing with large, easy-to-read LC display.